ReadWriteReflect offers a look back at major technology trends, products and companies of the past year. The year 2014 ushered in a new wave of what is often wrongly thought of as the “sharing economy.” It’s more accurately termed the Rental Economy—a collection of changes that have empowered anyone to loan out goods and labor at the touch of a screen. This year saw a rise of focused yet decentralized startups making it possible for ordinary people to supplant the roles traditionally played by, for instance, taxi fleets and hotel chains. Airbnb changed the game of hospitality by empowering the average person to rent out their homes or rooms to travelers at a cheaper price than hotels. Uber revolutionized taxi service by giving people the option of chauffeuring folks locally using their own cars. The beauty of these Rental Economy startups is that they should benefit both parties. Theoretically, occupants get to earn income using resources they already own while renters benefit from a cheaper and more convenient option compared to centralized businesses. Both Airbnb and Uber have experienced terrific growth this year. In particular, Uber raised funds at a valuation of over $40 billion, making it among the largest startups in market-capitalization terms of all time. Here’s how the Rental Economy infiltrated our daily lives in 2014. Ride-renting apps, like Uber, are offering affordable options for getting around conveniently without owning a car or using public transportation. The rise in popularity of affordable ride-renting apps has definitively disrupted the taxi markets in major cities. The price of big-city taxi medallions, required for drivers to operate a taxi, have fallen by 17% to 20% percent from their peak under pressure from Uber and rivals Lyft and Sidecar. In addition to several protests, taxi drivers have retaliated with a competing on-demand, taxi-hailing app called Flywheel. Similar to Uber, Flywheel lets passengers call a cab from a centralized dispatch and even process payments. Still, there seems to be no stopping ride-renting apps. In 2014, Breeze (formerly ZephyrCar), launched a new car-rental service for folks who want to earn money from Uber, Lyft or Sidecar but don’t actually own a car. Breeze vets ride-renting driver applicants and then matches them with one of their vehicles to rent for weeks at a time. Breeze was conceived by a few Uber alumni as a solution to the rapid growth of the startup and its subsequent car-owner supply problem. New peer-to-peer car-renting startups are aiming to disrupt the car rental industry as well. A crowdsourced business model allows RelayRides to offer competitive prices without membership fees. Its original competitor was Zipcar, an hourly ride-renting service with a centralized business model. Mid-year, however, RelayRides decided to compete directly with traditional car rental companies by switching from hourly to minimum one-day rentals. 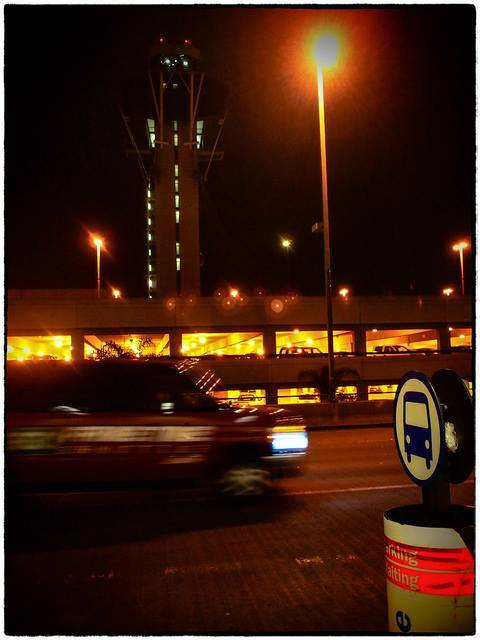 RelayRides even allows travelers to rent out their cars when they’re left idle at the airport. In the future, the competitive pricing and convenient technology of these ride and car-renting apps could significantly chisel away demand for owning new and used cars. By giving travelers a cheaper and more homey alternative to hotels, Airbnb is reshaping tourism in over 34,000 cities globally. The service allows ordinary people to rent out spare bedrooms to nomads, while allowing them the flexibility of choosing the dates and tenants. One research paper by Boston University found, for instance, that in Texas, “a one percent increase in the site’s listing in a given market would result in a 0.05 percent decrease in quarterly hotel revenues, an estimate compounded by Airbnb’s growth.” The paper highlights that low-cost hotels take the biggest hit from Airbnb. But why stop at homes? New startups are using Airbnb’s model for connecting renters and owners of other types of property as well. ParkingPanda, for instance, lets anyone—from large parking garages to individuals who own their own space—rent out parking spots via its service. (It’s not to be confused with startups like Sweetch that tried to entice people to “share” public parking spaces they didn’t own to begin with.) LiquidSpace lets you rent out office space to freelancers or startup founders. Even your dog can get away for a weekend using DogVacay, a service that grew substantially in 2014 and which is now considering international expansion outside of the U.S. and Canada. In addition to ride, car and space rental, startups are helping people rent out their goods on a focused marketplace. One of the most groundbreaking examples of this is MuniRent, a marketplace that brings the Rental Economy to the government. It allows local municipalities and other government bodies to rent out equipment to neighboring governments, other agencies or even internally. Until now, government agencies have spent large sums of money on heavy duty equipment (like excavators, street sweepers, forklifts, etc. ), that spend a great deal of time left idle and depreciating in value. There’s also no shortage of consumer-facing rental companies for turning ordinary things into a source of cash. Liquid (formerly Spinlister) lets you rent out your things, like bikes or snowboards, to others when they would be collecting dust in your garage. Traditional on-demand delivery options have been limited to local pizza and Chinese takeout. A handful of tech companies have leveraged the Rental Economy to expand delivery of, well, just about anything. They typically employ a network of drivers in a given community to pick up and deliver goods to local customers within a certain time frame. Postmates, an on-demand delivery startup, has garnered a community of over 6,000 freelance couriers on bikes, cars, or even foot, in over 18 U.S. cities. The company plans to let third parties build services or products on top of its on-demand technology. And it’s not the only B2B delivery service. DeliveryCircle is a similar delivery startup that aims to use commuters who are already on the road to deliver packages given unused trunk space. This year showed us that there is no shortage of viable ideas for peer-to-peer services, but this boom isn’t without limitations. Depending on ordinary people to supply the goods or labor for a business can be a risky game when the business model requires tracking down a variety of skillsets. When the required skills are too varied, it can be harder to source the most relevant expertise. That’s why, the most successful Renting Economy companies aim to dominate one specific service, like Uber dominates taxi driving. There’s a big difference between dominating a market and trying to do something a lot more general. TaskRabbit, for instance, requires outsourcing skilled tasks to other people. But the term “task” can mean anything, from tutoring to building IKEA furniture. This summer, the company’s all-things-to-all-people model ran into headwinds. Originally, the company gave customers the freedom to choose their “taskers” as needed, while the taskers had the freedom to choose the jobs they wanted. Handyman types, for instance, could earn easy money helping folks who wrestle with IKEA furniture pieces for hours. This summer, TaskRabbit decided to change its open-bidding business model to a less flexible one. Its outsourcers are now limited to a four-hour time window. They must choose a job category, enter a description and then employers can either pick from a generated list of taskers or let the TaskRabbit algorithm spit out a match. The lack of flexibility and freedom resulted in a rush of negative feedback. The new system is likely easier to manage and expand than the peer-to-peer model TaskRabbit previously employed. But it’s also significantly less, well, of a Rental Economy exemplar. “I think [TaskRabbit is] making a bet that there are a lot of people that want to earn some extra money, and they don’t care how they do it,” Andrey Fradkin of the National Bureau of Economics Research told Caleb Garlin on Medium. 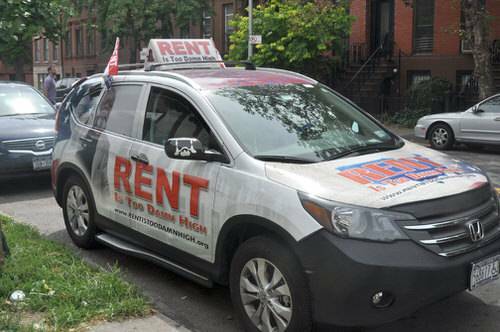 City regulators, often at the behest of big-industry incumbents, are still resisting the Rental Economy in many places. Opponents of decentralized rental companies, including New York City and San Francisco, are afraid that Airbnb hosts could turn their homes into full-time hotels. Meanwhile, cities opposing Uber, like Portland and Las Vegas, insist that there should be more regulations and licensing for motor companies. Most recently, Portland placed a ban on Uber for three months while City Hall leaders create a new policy for innovative technology network companies. Late this year, Nevada lawmakers temporarily suspended Uber’s unlicensed operations throughout the state. Uber might face other rules. Lawmakers might require it to implement stricter driver background checks in the wake of charges brought against a few Uber drivers for reckless driving and sexual assault. On a more positive note, the end of 2014 marked one step forward for the Rental Economy when San Francisco finally made Airbnb legal in it city, after months of dispute. The new Airbnb Law, effective February 1, allows people to rent homes through space-renting apps if they reside in the property at least nine months out of the year. 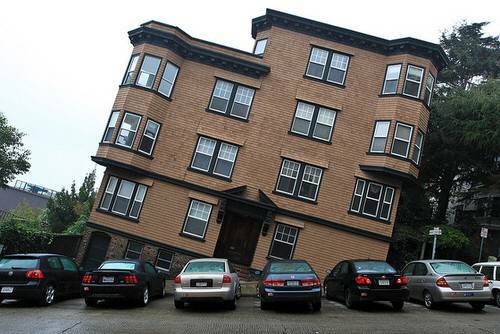 New city rules, like those posed by San Francisco, could help shape the market for rental companies across the board. 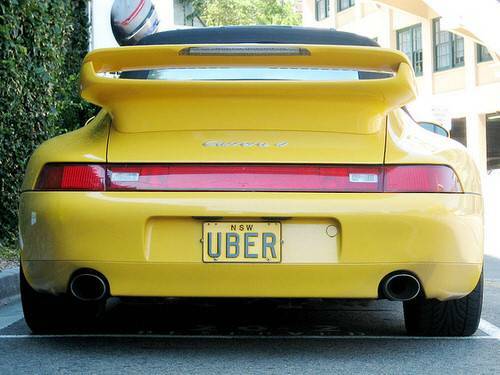 For now, it remains to be seen what Portland will cook up for Uber in 2015.